Many people like burgers, after all, what’s not to like about it? You can top it with whatever you like, and goes very well with some bacon. Whether the patties are veggie based or made with beef, or a combination of meats, we all crave for one every now and then. In this series, I will scour Mississauga’s bars, restaurants, and burger joints to let you all know the places to go or stay away from when you have a hankering for a burger. 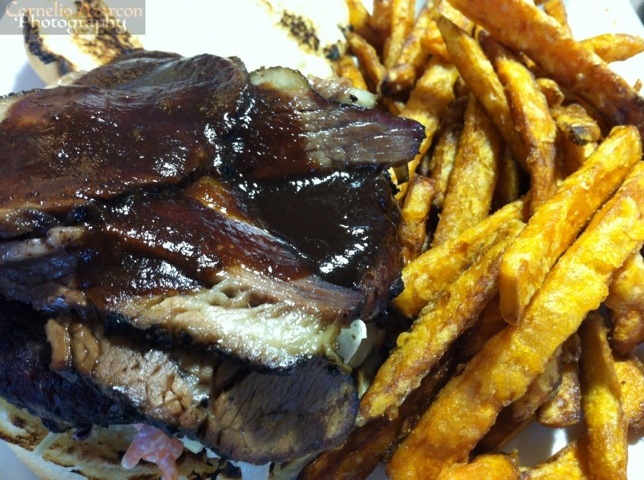 The Burger Factory offers one of the freshest and mouthwatering burgers in Mississauga. 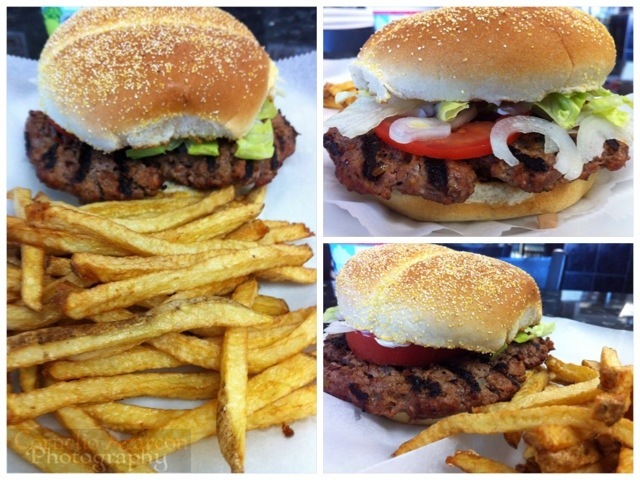 Each 5oz patty is made in house, fresh, never frozen, 100% pure beef with no added filler. The patties are well cooked throughout while still remaining juicy. Burgers are their specialty, and you won’t be disappointed. 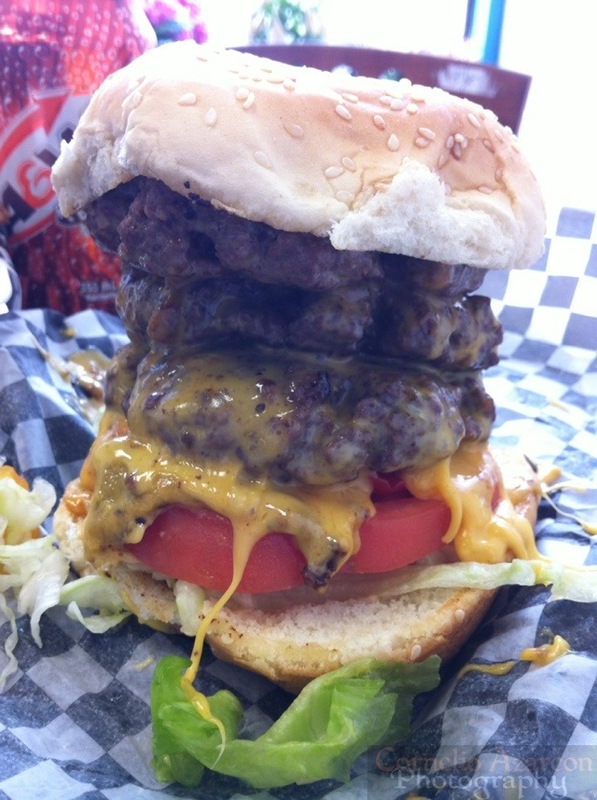 Pictured above is The Compressor ($10.99) which consists of three 5oz patties each topped with cheese. It’s the ultimate cheese burger and topped with your choice of toppings. You might ask, “what does a kebab restaurant know about burgers?”. Actually, it makes perfect sense. King Kebab makes their kebabs in house with fresh ingredients, no fillers, and full of flavour. It’s very simple to shape their kebab differently, say in patty form, and you have a delicious mouthwatering burger. They only serve one kind of burger, the King Burger ($6.99) which includes fresh cut fries. The patty is a mixture of beef and lamb with their house blend of spices. The sandwich is topped with lettuce, tomatoes, and onions. You’ll love their burger as much as their kebabs. If anyone knows meat, it’s chef Misha Djokic of Blue Sage Southern Barbecue. With such flavourful offerings like beef brisket, pulled pork, smoked wings, and ribs, putting burgers on the menu is a very good move. The most you can do in most restaurants is add bacon and cheese to your burger. At Blue Sage, you have 3 burgers to choose from; the Razorback Burger, a prime rib burger with options to add cheese and bacon; the Piggy Burger, a prime rib burger with Pulled Pork; and the Moo Moo Burger (shown above), a prime rib burger with Beef Brisket. All burgers are topped with homemade coleslaw, and come with your choice of side. Hahahaha! I probably should’ve added a disclaimer to the post. Those pix look sooooo good. I love burgers too! Especially when they’re for right and with great quality ingredients.